We have all heard that eating more omega 3 fatty acids is good for our heart health, and to boost our intake we are encouraged to eat more oily fish. However, for those who don’t like fish or simply don’t consume enough of it, there are alternative foods that are rich in omega 3 fatty acids. There are three types of omega 3 fatty acids which are considered essential in the body as they are not synthesised in the body and must be consumed in our diet. These are EPA, DHA and ALA. ALA is converted to DHA and EPA in the body; however this process is not very efficient, so it is probably better to focus on consuming more of the other two types primarily. These essential fatty acids are required for numerous functions to keep the body working correctly, including reducing inflammation in blood vessels and joints. Evidence suggests that two types of omega 3s, EPA and DHA are beneficial for heart health as they are thought to lower blood triglycerides and decrease levels of unhealthy LDL cholesterol in the blood. It has also been suggested that omega 3 fatty acids may help alleviate symptoms of conditions such as arthritis and depression. Recent research has cast some doubt over the use of omega 3 supplements for improved heart health, however, there is no doubt that we need these fats in our diets for a variety of processes. Even if further research shows that the heart benefits are not as strong as was once thought, these fats still act in key processes in the body and have been indicated in the management of other conditions. The main source of the more potent omega 3s DHA and EPA are oily fish such as mackerel, fresh tuna, salmon or trout. Omega 3s found in plant foods are in the form of ALA, so although this is converted to DHA and EPA in the body, they are less beneficial due to the inefficiency of the process. While eating fortified foods is a good way to get a few more omega 3s into your diet, it is important to be aware that some foods, often breads and cereals, will be fortified with plant based omega 3s, or ALAs. This means that they are not are bioavailable to the body and even eating these foods may not be enough to meet requirements if not oily fish are consumed. Fortified dairy products are generally more likely to contain DHA and EPA, however still tend to contain hugely less than oily fish, for example, a fortified egg may contain about 200-300mg of DHA, whilst 100g of fresh blue fin tuna contain around 900mg of DHA, as well as 300mg of EPA. It should also be noted that there may be variation between brands and it is important to check nutrition information panels to determine how many omega 3s are present in a product. The omega 3s found naturally in grains and nuts are of the ALA type, so are not as effective as other sources. 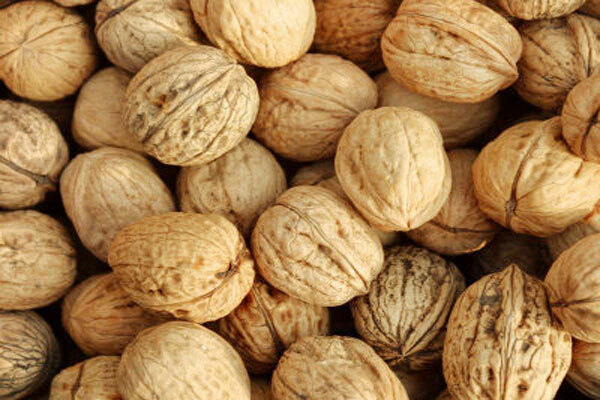 Flaxseed, walnuts and pumpkin seeds all contain some omega 3. Edame, or green soy beans also contain omega 3, however, they also have a high level of omega 6 fatty acids, on which experts are undecided as to the health effects. Vegetable oils can contain high omega 3 levels, however, once again it is in the form of ALA. It should also be noted that as oils are high in calories, it may not be appropriate to consume large amounts in order to increase omega 3 intake. Margarines may be naturally high in ALA omega 3s and some brands are also fortified to contain more bioavailable forms. While meat is generally higher in omega 6 fatty acids than omega 3s, there has been some suggestion that grass fed cattle meat has a higher ratio of omega 3s, making it a healthier option in terms of fat content. It may also be the case that products produced from grass fed cows, such as milk and cheese may have higher omega 3s. These products are generally expensive and not easy to source as the majority of animals are reared for meat are fed on corn based feeds, hence it is not usually the most cost-effective way of incorporating more omega 3s into the diet.